Every single day you Google things, visit blogs, buy online, pay your bills or browse Facebook. Almost 4 billion people on this planet rely on the Internet connection for various purposes, and for many, it has become a basic necessity. However, browsing the Internet is turning into more of a minefield with new, more complex and more hostile malicious code coming to light. This means security takes (or at least, should take) a high priority for us all. On top of that, every click you make online is tracked by websites, advertisers, Internet service providers and government agencies. We’ve already talked about why privacy matters several times and will not revisit the often repeated arguments here. Whether or not to take action to protect yourself depends entirely on you. If you do want to take specific steps to improve your online security and privacy, you can start by finding the most secure web browser for your needs. In this article, we are taking a closer look at various browsers and their security features. While it is entirely possible to tweak Google Chrome, Safari or even Microsoft IE with plugins and advanced settings for security and privacy, these are far from their key features. Besides, the further you go from the default settings, the easier it gets to identify your unique online fingerprint. Still, these are the biggest names on the market and cannot be ignored. Google Chrome was launched in 2008 and is now the undisputed leader in browser market share. That was predictable, as in many ways it is a fantastic solution with robust security and vast possibilities for integration and fine-tuning. However, Chrome is never going to be the best privacy browser. It is developed by the company whose business model primarily consists of spying on its users to profile them for targeted advertising. What Chrome’s privacy notice says, in a nutshell, is that it is essentially just spyware for Google. Chrome is available for Windows, Linux, macOS, iOS, and Android. 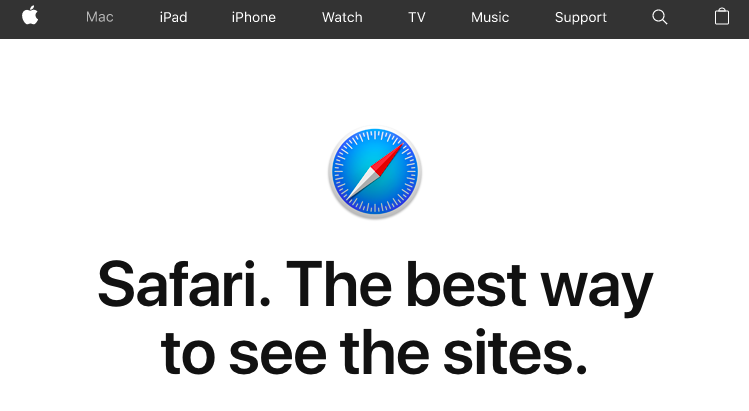 Safari does quite well in terms of maintaining your online privacy – mainly because Apple is mostly focused on its hardware business and doesn’t rely on aggressive online advertising. For instance, it prevents third-party sites from leaving data in your cache by default. It’s also strong in the security department, running web pages in separate processes to prevent malicious code on one page from damaging the entire browser or accessing your data. Still, Safari is closed-source, and Apple did participate in the NSA’s PRISM program, so placing your trust in it may not be the best idea. Safari is available for macOS and iOS. Internet Explorer is a joke and has memes to prove it. Meanwhile, its touted successor Edge has only had two updates since the beginning of 2017, which does nothing to assure Edge users of its security strengths. 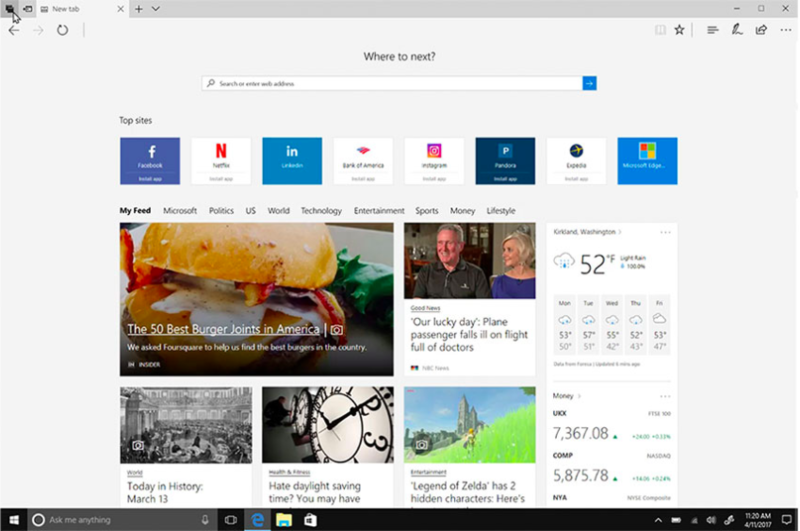 Like the other mainstream names, both IE and Edge allow blocking pop-ups and sending a “Do Not Track” request. That being said, both Microsoft’s browsers are closed-source, so there’s no telling what other types of surveillance widgets might lurk within them. Internet Explorer is available for Windows but no longer developed. Edge is available for Windows, Windows Mobile, and Xbox One, with beta versions available for Android and iOS as of April 2018. Firefox is the only mainstream open-source browser, and its code has been thoroughly audited. Despite it still being a step behind Chrome in the security area, the gap is almost negligible. Like other major market players, it offers a private browsing mode, which includes tracking protection. It also has an impressive collection of security-focused add-ons that can be used to make the Firefox experience safer. The problem with using extensions for enhanced security and privacy is the above-mentioned threat of fingerprinting. But the upcoming canvas fingerprinting protection (or the existing Canvas Defender add-on) should ease this issue in Firefox. If you’re looking for a secure Android browser, the stripped-down Firefox Focus is probably your best choice. Released in 2016, it automatically blocks most online trackers and allows erasing your browsing history easily. Firefox is available for Windows, macOS, Linux, Android, and iOS. Using one of the major browsers may seem like the most convenient choice for everyday online activities, but all the names in this list are open-source and provide more privacy than Chrome, Edge/Internet Explorer or Safari. While Chromium has connections to Google, the tech giant does not own the builds that use its open-source code, and therefore the browser is not subject to the company’s default data gathering. However, it is practically impossible to guarantee the code is 100% clean and isn’t calling home, so although on paper Chromium looks good, the most privacy-conscious users may want to stay clear from anything related to Google. The frequency of Chromium’s updates is unmatched, with a new one being released every single day. This is great for patching up vulnerabilities as soon as they emerge, but the updates require manual installation, which means the swiftness in threat mitigation ultimately depends on end users. 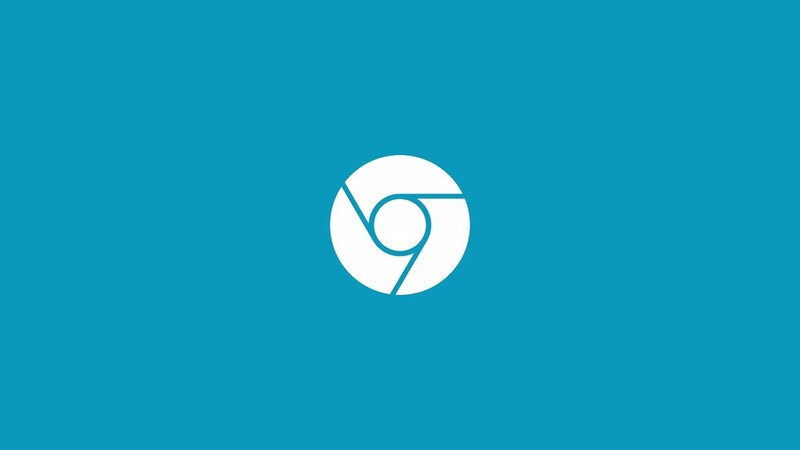 Chromium is available for Windows, macOS, Linux, and Android. 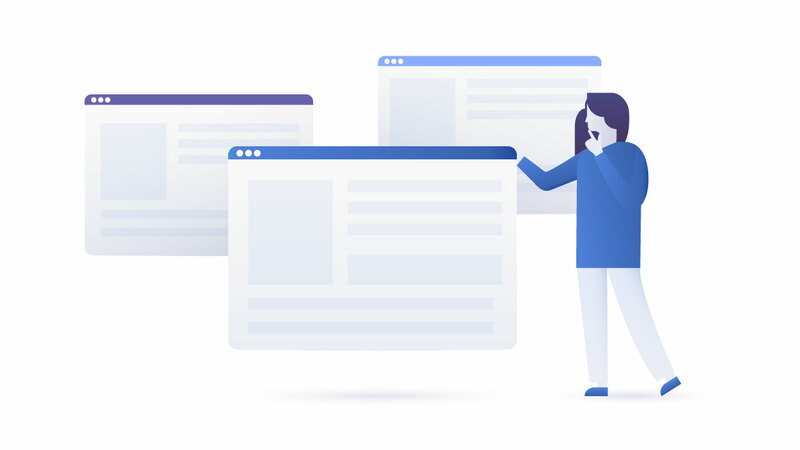 Opera runs on Chromium system and boasts a variety of security features to make your browsing experience safer, such as fraud and malware protection as well as blocking scripts and insecure add-ons. The questionable component is the free built-in VPN that Opera acquired in 2016. Like many VPNs offered as free extras (here’s looking at you, Facebook! ), it tracks bandwidth and usage logs. Besides, Opera itself is owned by a company based in a country notorious for privacy infringement. 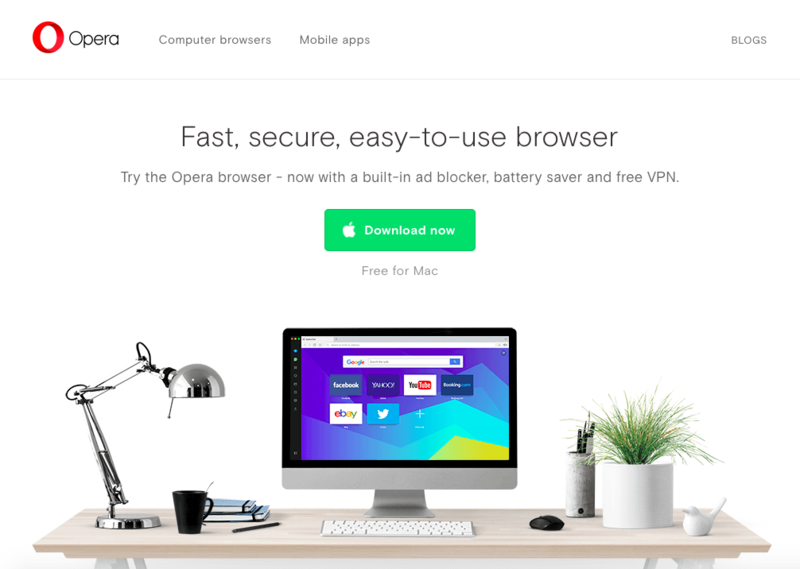 Opera is available for Windows, macOS, and Linux. Image copyright: The Tor Project, Inc. Endorsed by Edward Snowden, Tor is arguably the best known privacy-focused browser. It prevents unauthorized snooping with the help of its built-in hidden relay servers, comes with pre-configured security features and can run from a USB flash drive. Plus, it’s your gateway to the dark web if that’s your cup of tea. 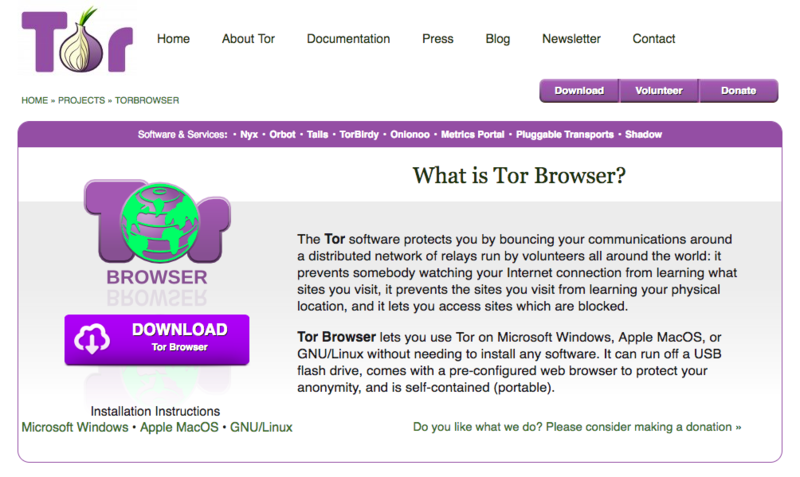 You can find the full review of how Tor works in our earlier guide article. Among other things, Tor is a good choice for avoiding fingerprinting. As long as you use the standard settings, do not add extra add-ons, and stick to the default window size (not the full-screen mode), one Tor Browser looks identical to another Tor Browser. It’s important to remember that Tor is more of an advanced privacy solution than a secure one, as it includes no anti-malware technology and blocks plugins by design. One way to increase the security of Tor is using it together with a VPN for encryption. Learn more about how you can combine the two here. Tor Browser is available for Windows, macOS, and Linux. 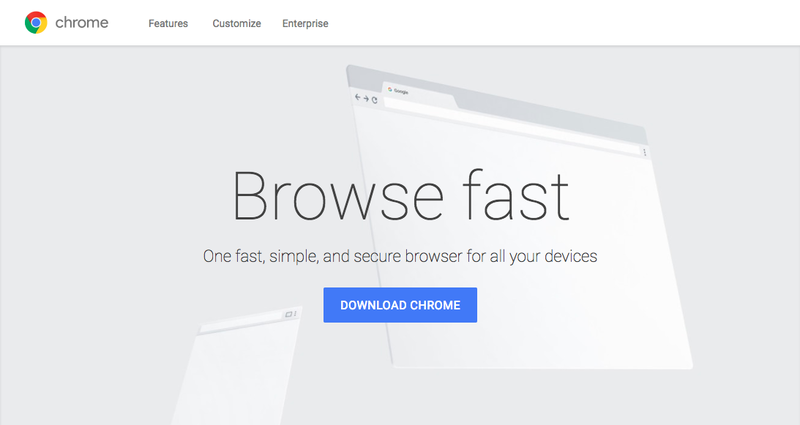 Brave is a relatively recent Chromium-based browser that packs quite a punch. It’s lightweight and yet offers a bunch of features, including a built-in ad-blocker, tracking protection, script blocker, and one-click anti-fingerprinting functionality. Brave does not support many third-party add-ons, which may displease users who want to import their extensions from Chrome. However, that ensures that no malicious third-party apps and extensions compromise users’ security. Although Brave is open-source and nominally “de-Googled,” more suspicious users may not trust its Chromium base. 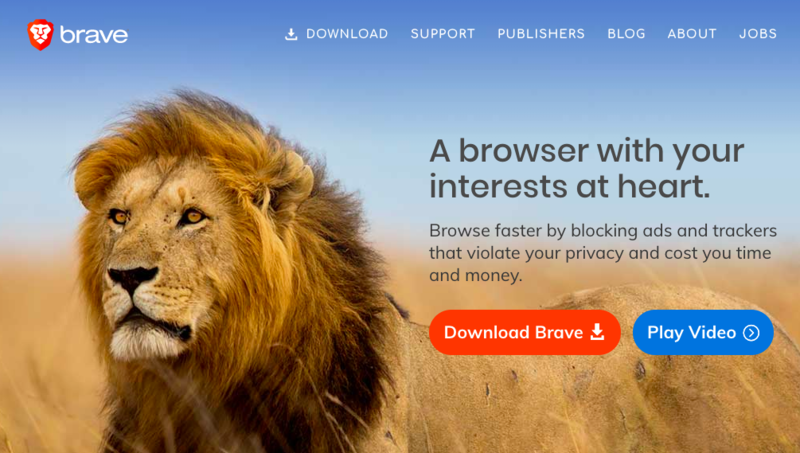 The browser’s upcoming advertising platform is also controversial, as Brave will be able to serve ads that profit the browser over any hosted by the sites you visit. However, they claim the opt-in system will also be designed so that users can contribute voluntary sums to the publishers they value the most. 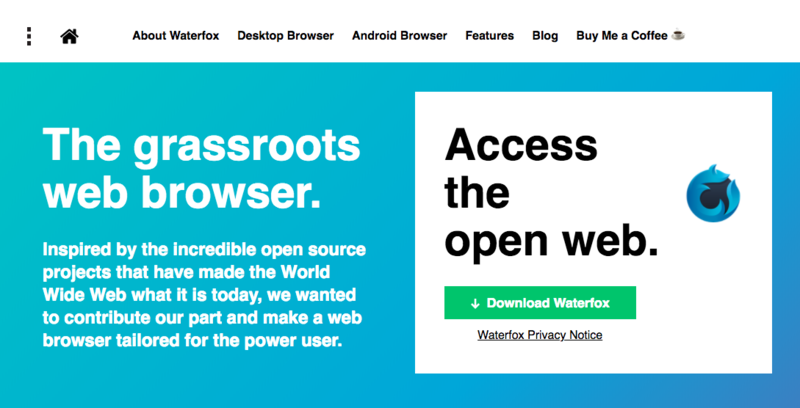 Waterfox is probably the most popular alternative browser based on the Firefox code; it was designed to take full advantage of 64-bit Windows computers back when Mozilla only offered a 32-bit version. For the most part, Waterfox is the same as Firefox 56 when it comes down to looks and functionalities, which means it supports both legacy and new add-ons. It offers tracking protection and removes many of Firefox features that may decrease users’ privacy, such as Pocket and Telemetry. The downside is Waterfox being stuck on the outdated Firefox version until at least 2019 – this may result in important security vulnerabilities left unpatched. Waterfox is available for Windows, macOS, Linux, and Android. With its highly customizable interface and functionality, many consider Vivaldi to be the power-user’s privacy browser. The extensive customization options extend into Vivaldi’s privacy settings as well, allowing users to choose their default search engine and a wide array of other settings that impact your privacy. You can, for example, set different default search engines for when you’re using the regular and private browsing modes, and create different security settings for both of those search engines. Although Vivaldi offers end-to-end encryption for syncing between devices, it does not have mobile device support yet. Due to hwo ti was developed, it is also compatible with most Chrome browser extensions. The philosophy behind the Epic browser is that it should ship with every privacy setting turned on by default. It’ll send “Do Not Track” requests, block cookies, and search via DuckDuckGo right from the start. You can configure the browser to improve its convenience at the expense of your privacy. Epic takes this approach seriously, delivering on their promise of “extreme privacy”: no auto-syncing, no spell-check, no auto-fill – these and many other features come shut off or simply unavailable. 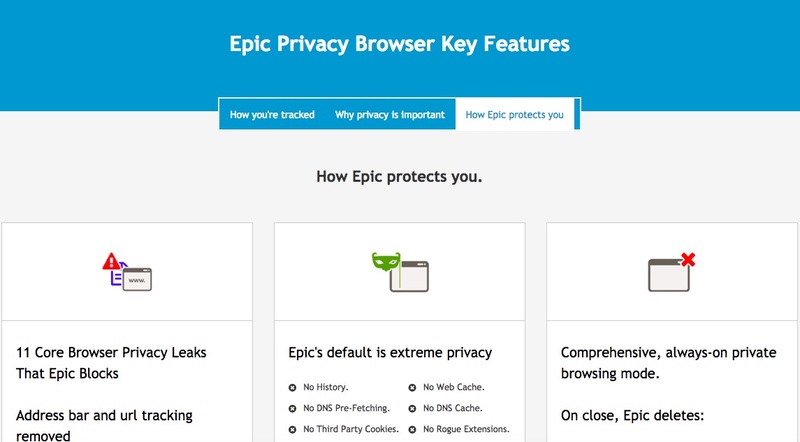 This can make Epic hard to use for some users, but it’s certainly a very serious privacy tool. It also makes your privacy gains measurable by tracking how many cookies it has blocked and who tried to send them. 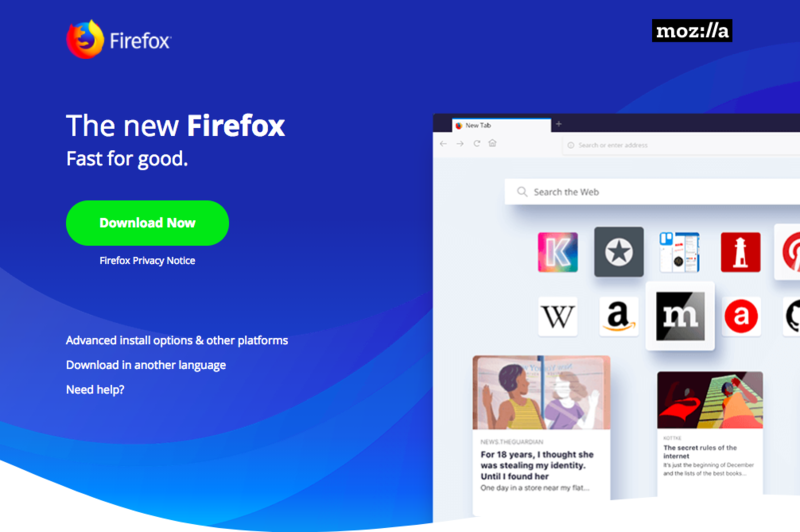 With privacy settings slightly tweaked and a few security add-ons installed, Firefox is easily the best private browser solution among the mainstream brands. If your anonymity needs are more advanced or you want to access the dark web, Tor is the one you’re looking for. However, please bear in mind that none of these solutions are perfect – each browser has its respective strengths and weaknesses. To enhance your privacy and security online, you should use them in combination with other tools, such as tracker blockers and VPNs. When choosing your new, more-secure browser, you may also want to consider which extensions it does or doesn’t work with. There are a ton of excellent privacy tools out there, but they don’t all work with every browser. To find the right browser privacy extensions for you, click here. Another important privacy pool is a VPN. NordVPN’s encrypted VPN tunnel will hide your traffic from hackers, ISPs, and governments, and protect you from numerous attacks as well. Use it in combination with a secure browser to ensure optimal online browsing security. Our blog has plenty of cybersecurity and privacy tips to share. Subscribe below to receive our best posts once a month right in your inbox!